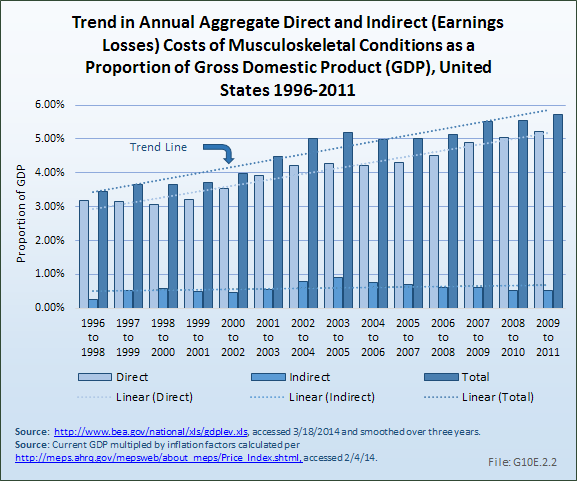 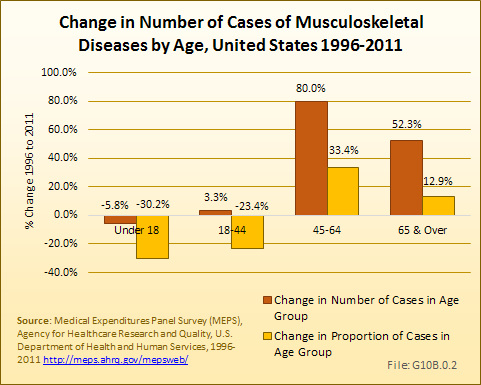 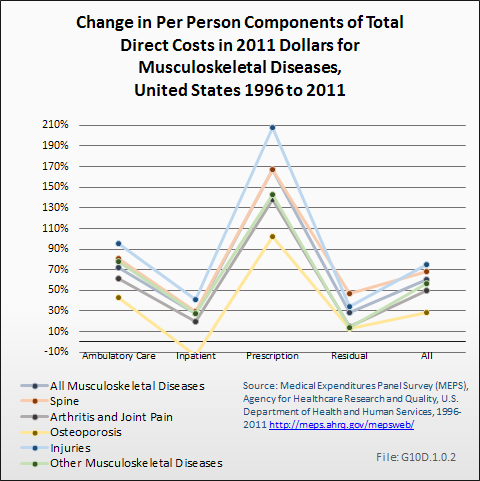 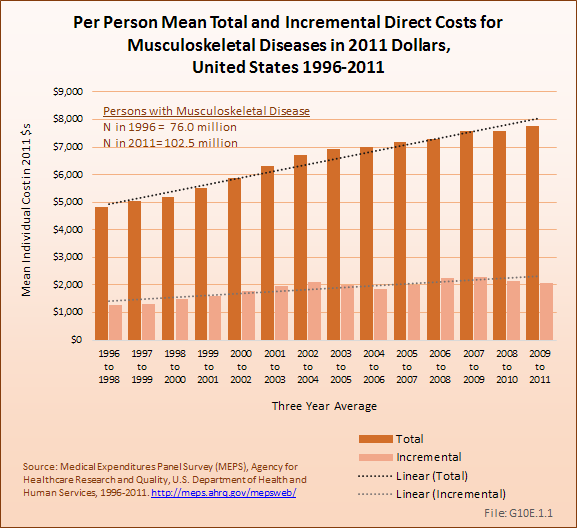 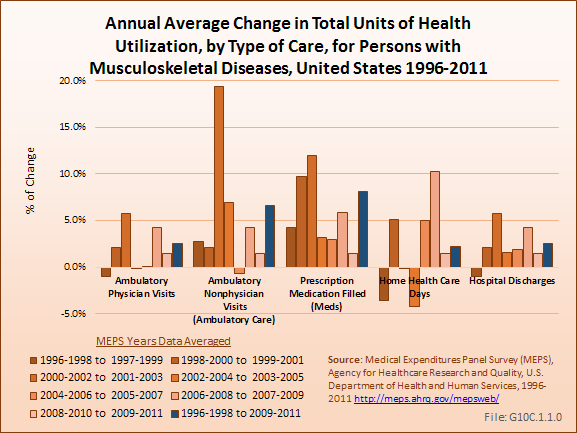 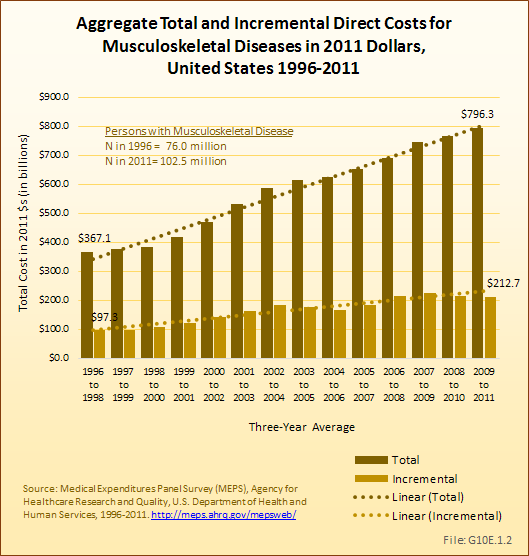 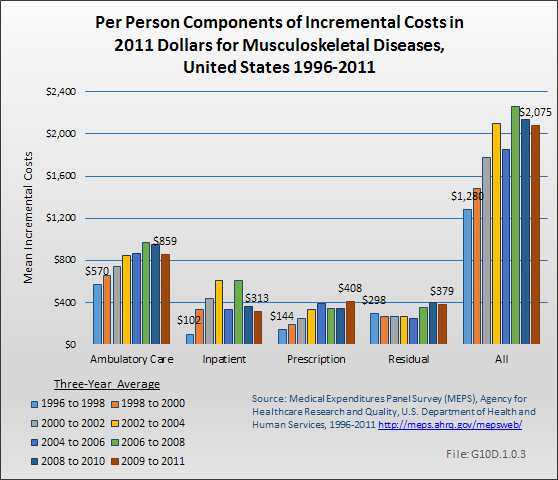 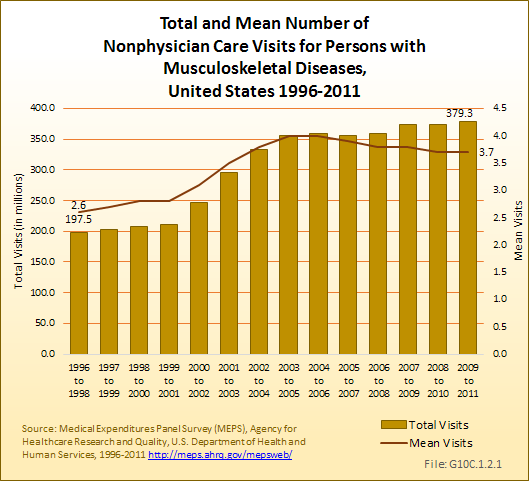 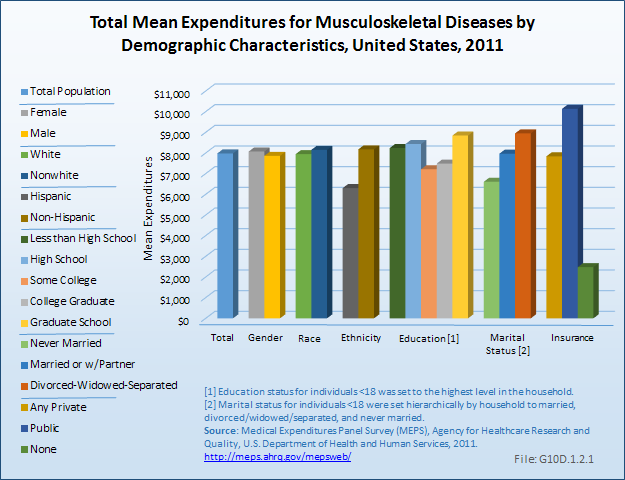 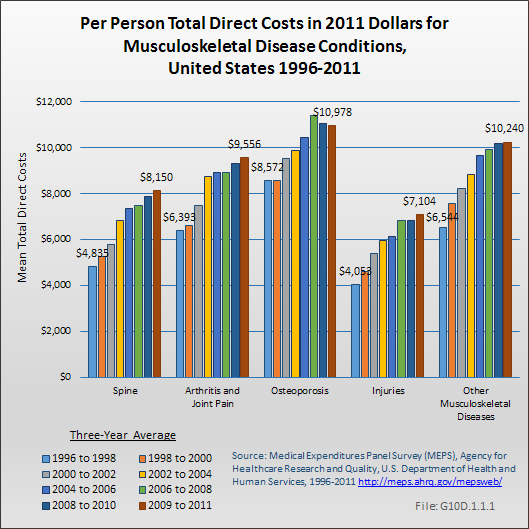 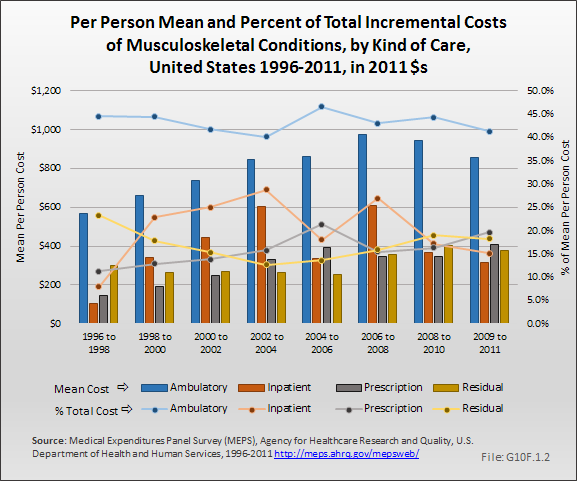 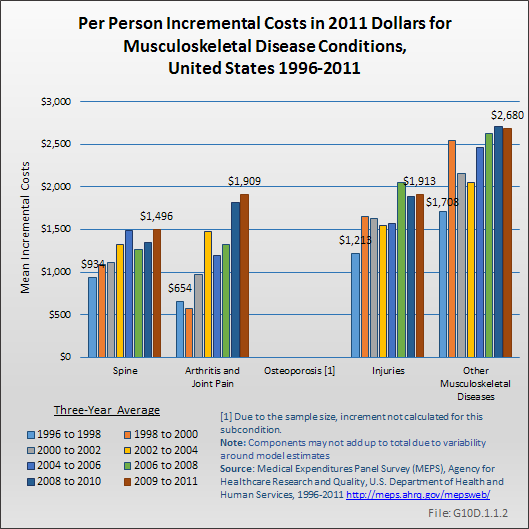 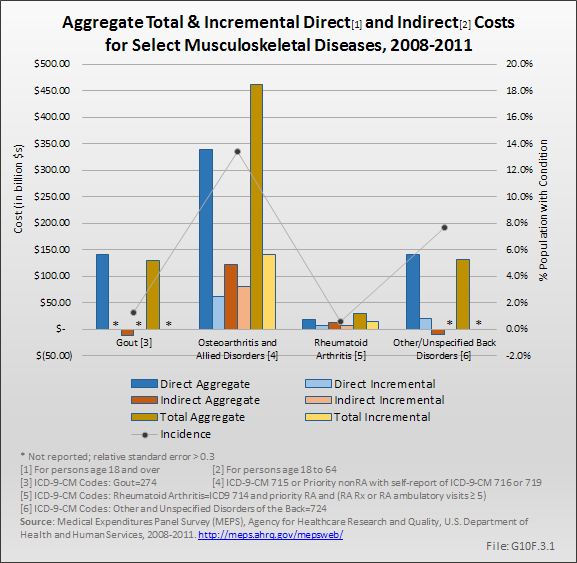 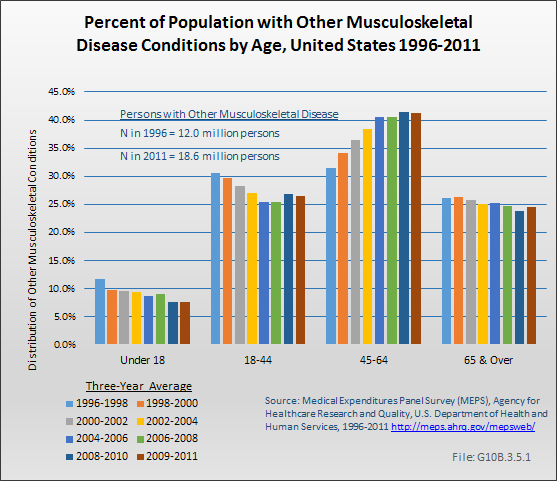 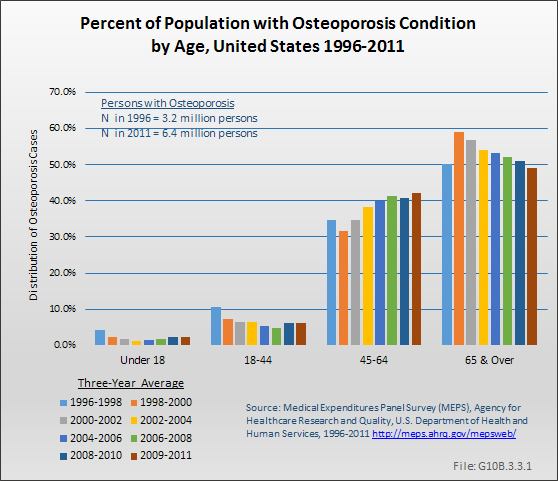 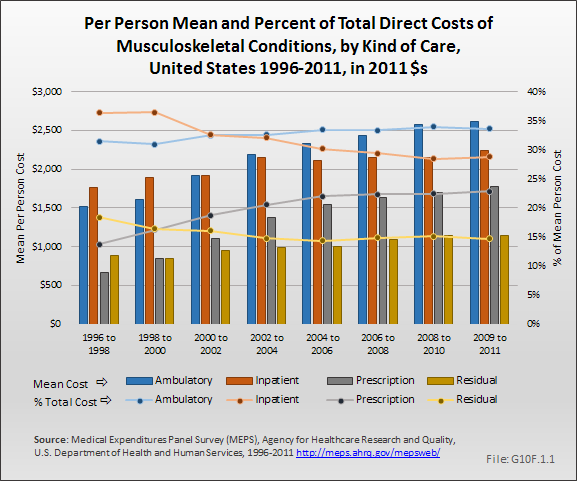 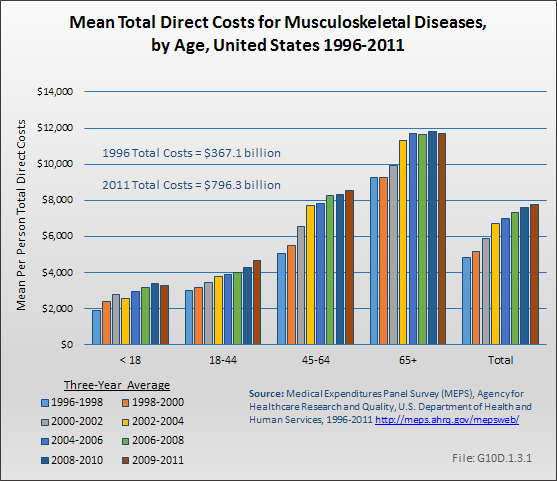 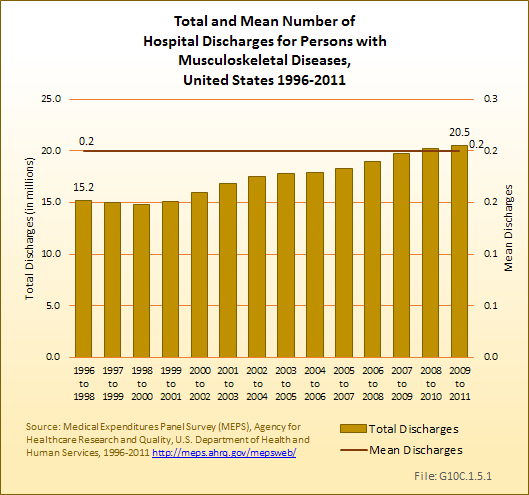 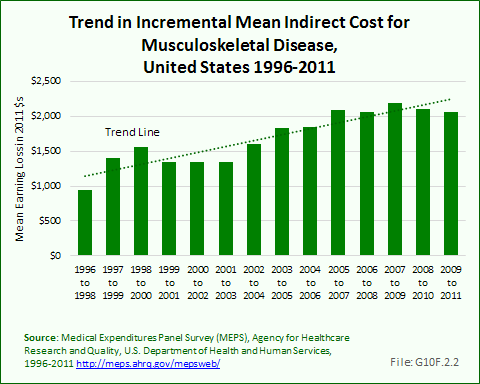 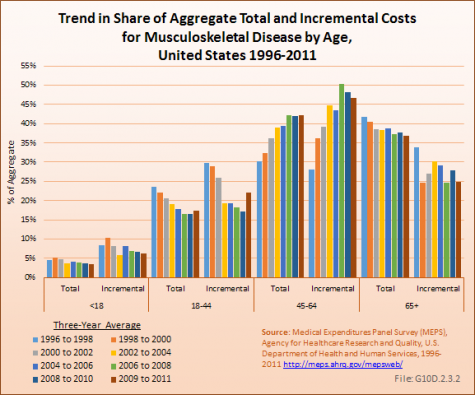 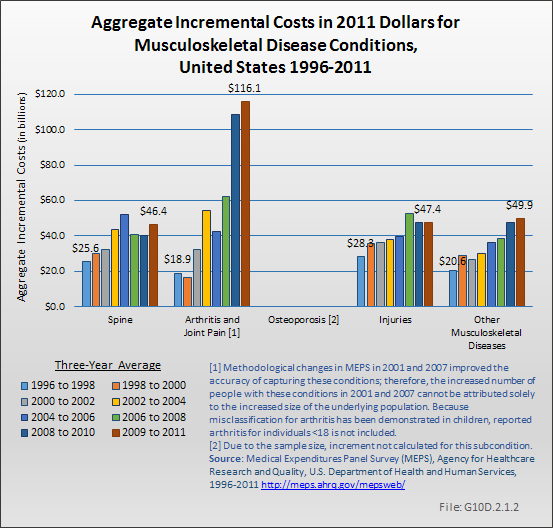 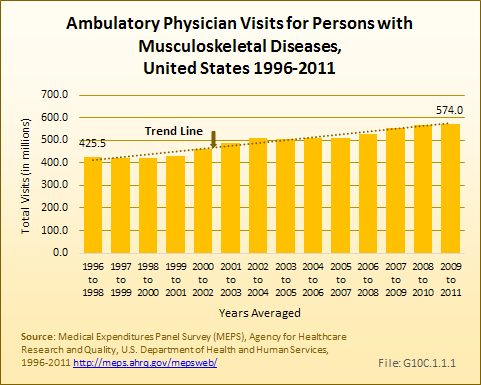 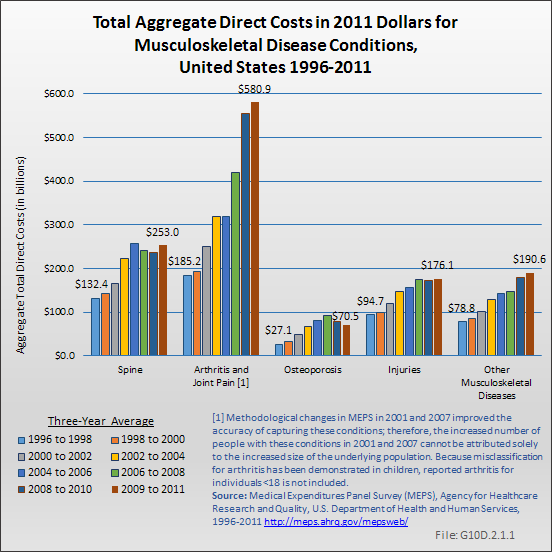 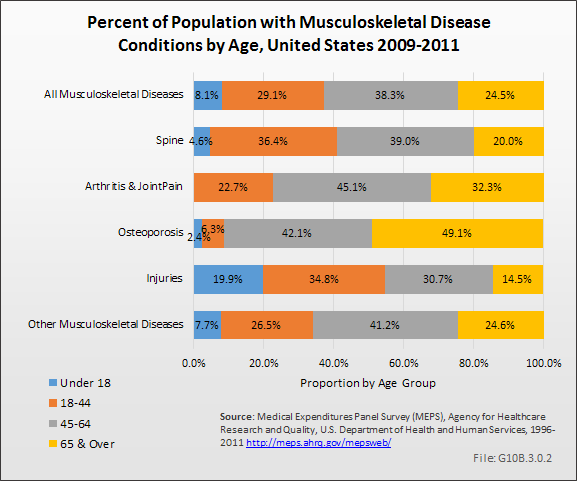 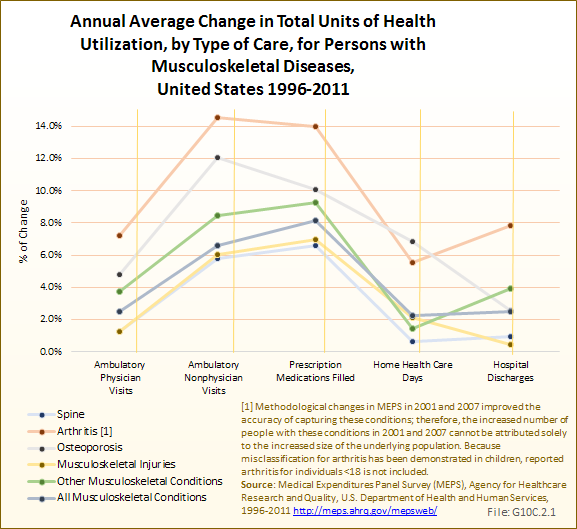 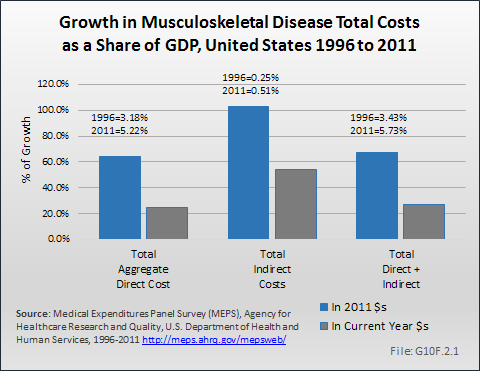 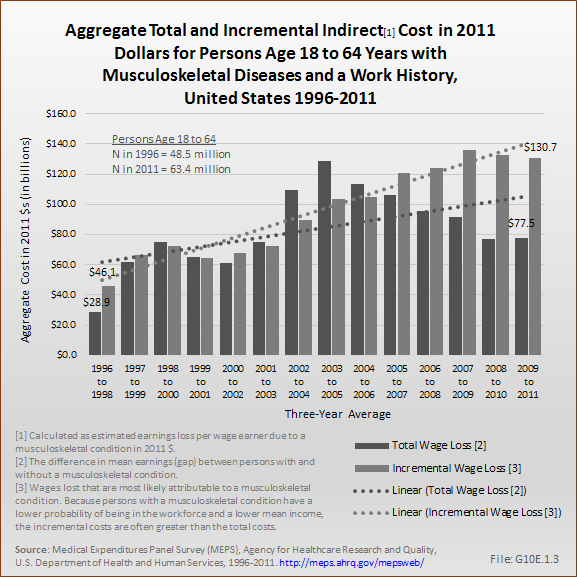 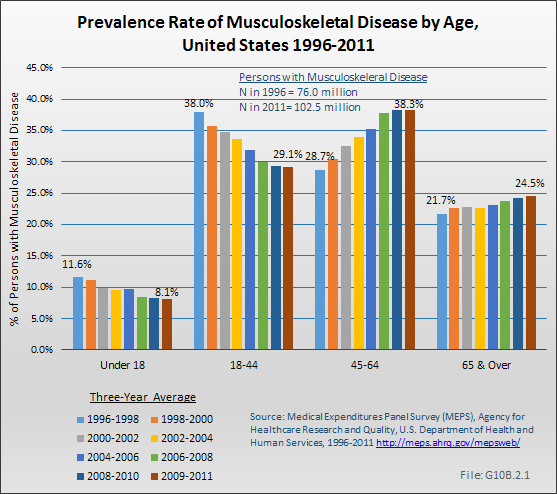 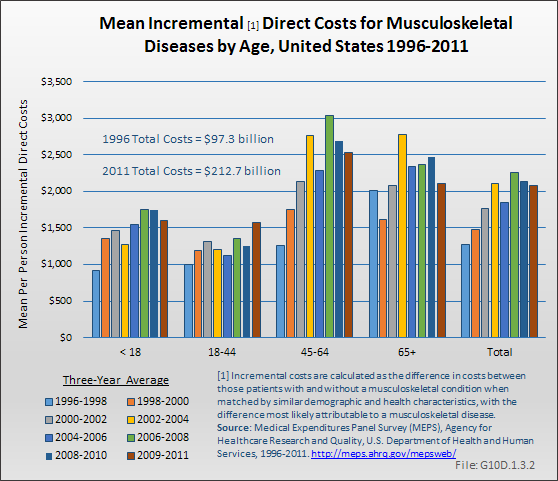 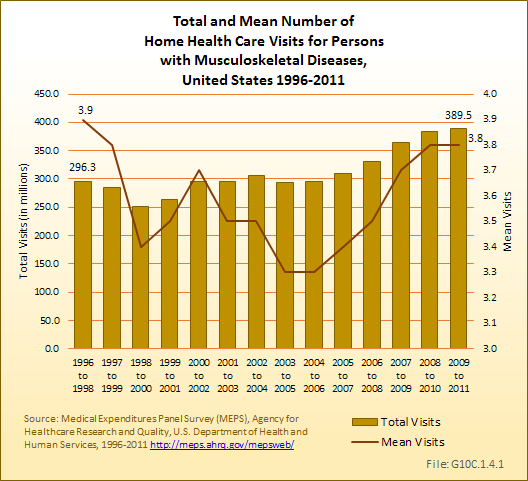 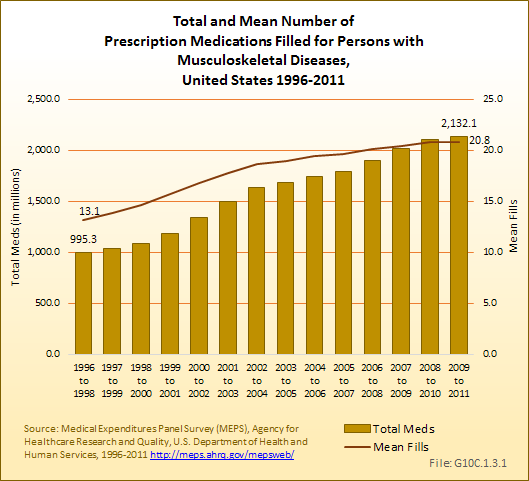 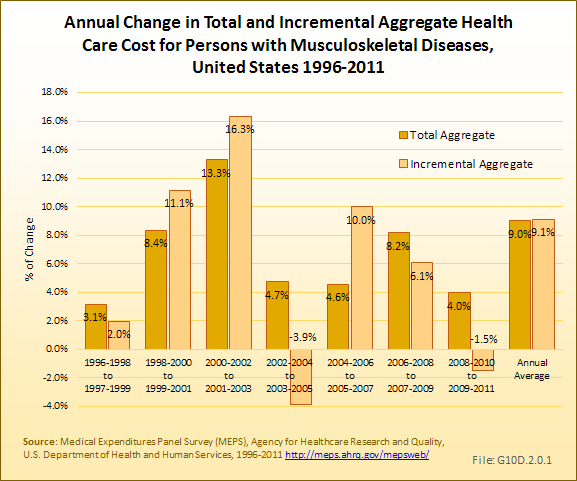 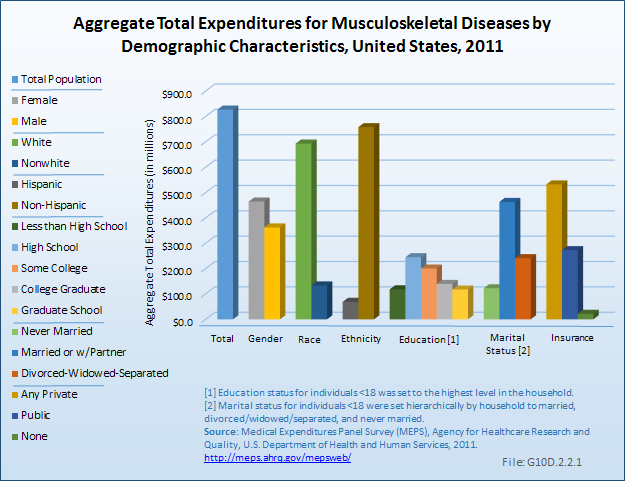 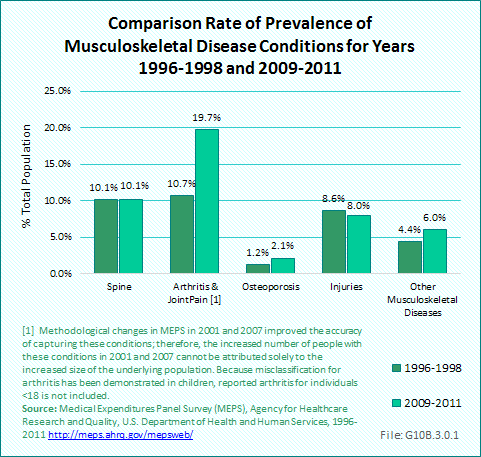 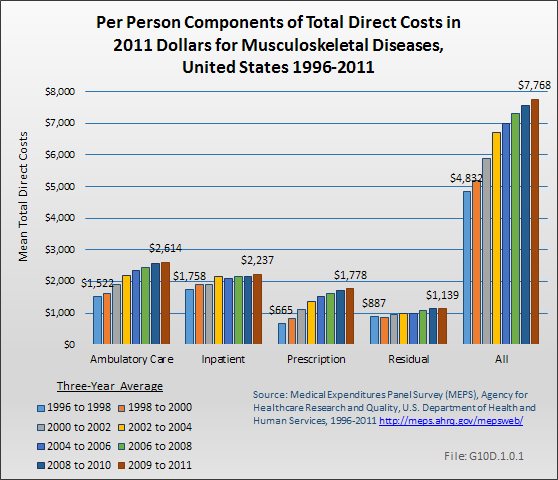 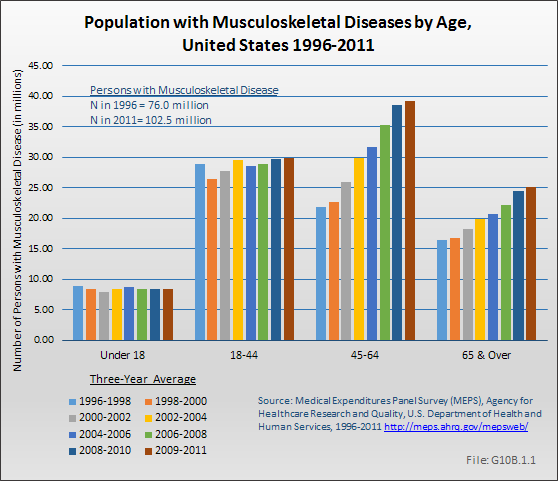 Estimated 2009 to 2011 aggregate total expenditures for persons age 18 to 64 years were $474.9 billion, or 60% of aggregate total health care expenditures for musculoskeletal diseases in that year. 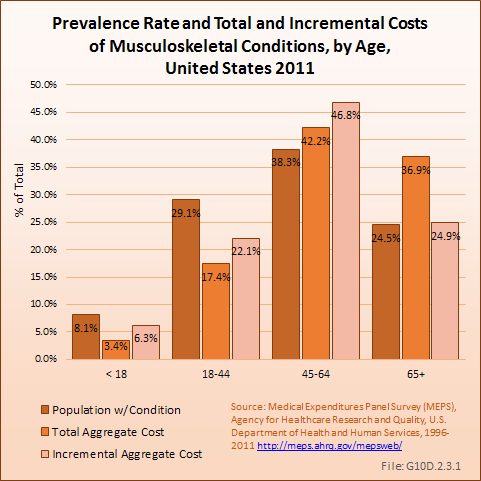 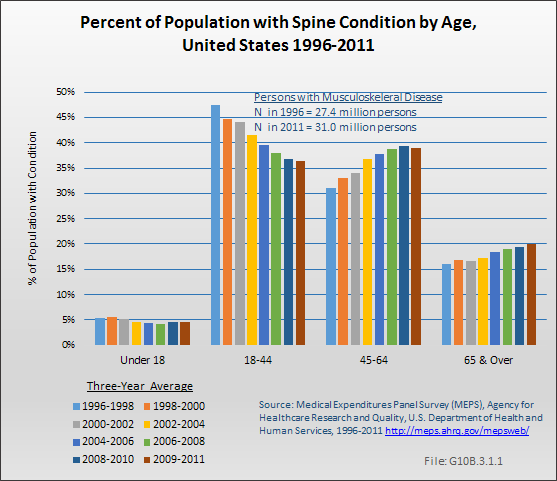 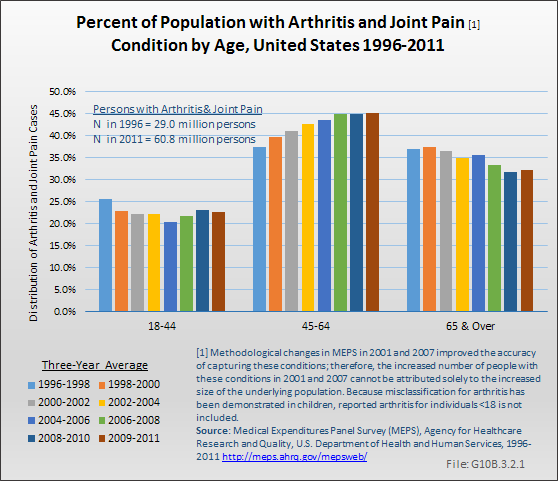 Thus, although musculoskeletal conditions are more prevalent with age, because of the size of the group 18 to 64 years, a majority of medical costs occur in the adult, nonelderly population. 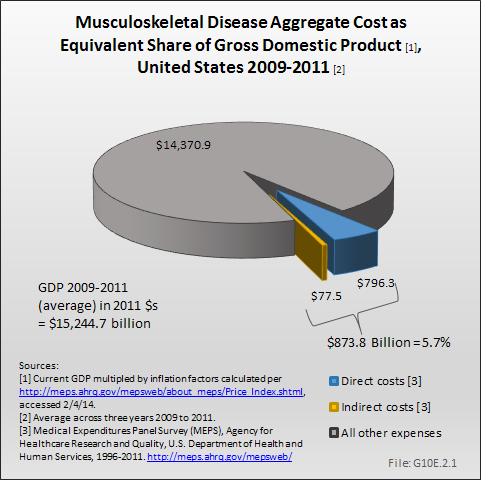 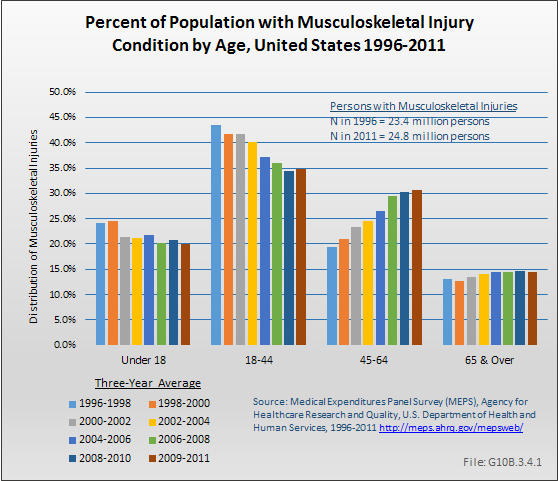 Only $27.4 billion of total aggregate musculoskeletal health care costs, or less than 4% of the total, went for persons under the age of 18 years.